The spring has finally begun and the weather is nice – the nature shows many colours to make us merry after the winter. 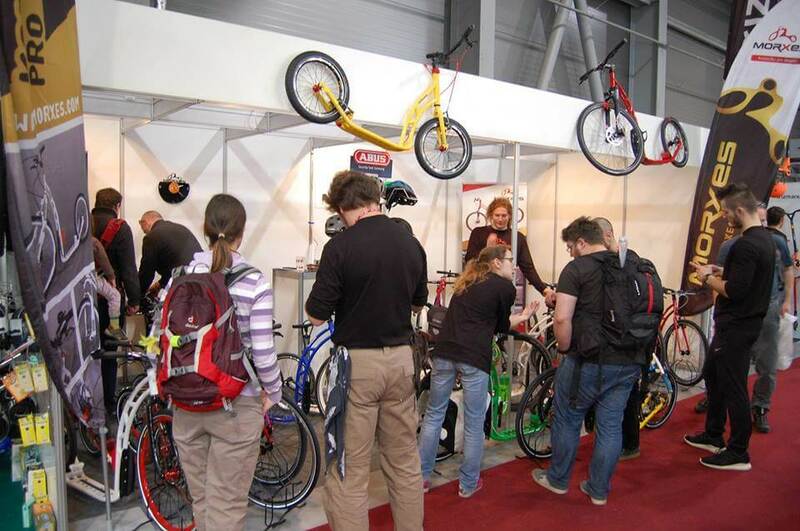 Therefore, nobody of the FOR BIKES trade show participants was impressed that the footbike producers made footbikes in various colour combinations, which captivated primarily women – but the men liked it as well and moreover, they normally appreciate the construction qualities of all types of machines and another various gadget. Thus the symbol of this year’s FOR BIKES trade show were not only the rainbow colours that lured many visitors to the exhibition stands. The splendour of the exhibited footbikes was great to look on and attracted attention of the people of all ages. Yet the colours were not the only thing you could observe there: the lightness is one of the footbike’s assets. Thus the use of carbon or aluminium as the construction material is no surprise. You can easily fold the footbike for better compactness, not only to store it in at home but in a car as well, so even not the women needn’t be afraid of that they cannot handle it themselves. All was designed according to useful elegance and in the material and colours combination. 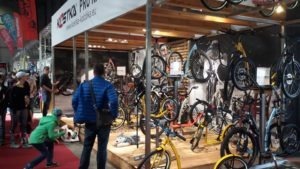 In case you spent that weekend with your family or you had a good time in the nature in order to enjoy the warm sun and you hadn’t time for the FOR BIKES trade show, you needn’t regret that you missed something: You can visit any footbike store and make the first ride with your family just the next weekend. You’ll become the part of the spring’s colour contest, you can try how useful the folding mechanism is or you will perhaps appreciate the lightness of some machines. Yet the most important thing is that you can spend time with your family during some healthy physical activity. The high season has just begun! Yeah, there was a really plenty of news this year. 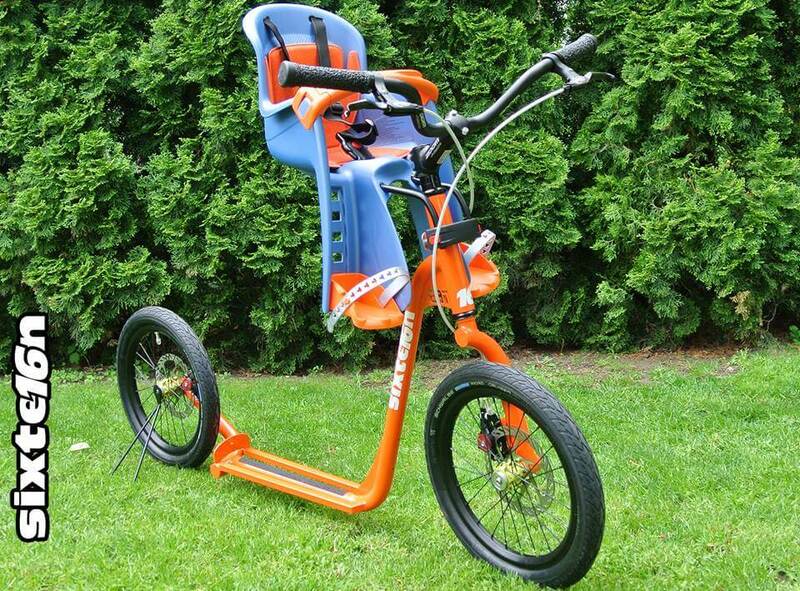 Besides other things, it’s because the footbikes are becoming more and more popular among the people doing sports. As every year, this season of the famous exhibition of bikes and accessories was accompanied with the manufacturer’s or footbike vendor’s exhibition stands who brought many innovations. 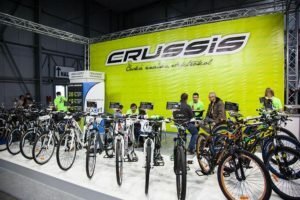 First of all, one of the news is the wide spectrum of provided products on the footbike field – then many new colours of the products or the innovations of the carbon-made footbikes (The Carbon series) which were expected for a long time. I have to say that I was nicely surprised that the carbon-made footbikes are already serial produced. 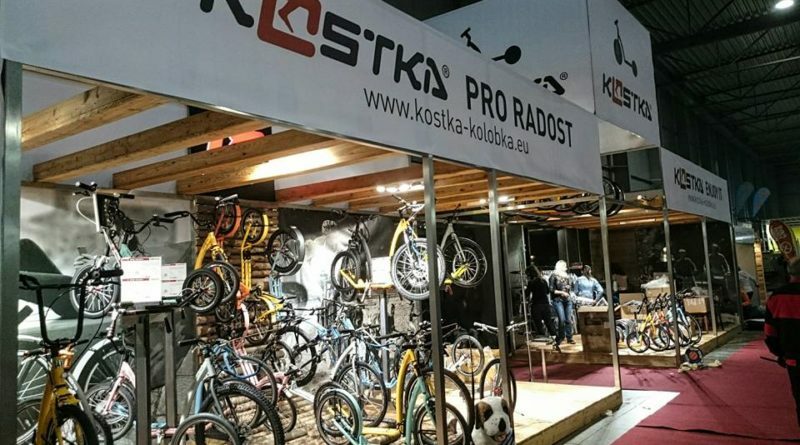 In our country, Marek Kostka is our hero and we are looking forward to see his footbikes on the shelves of the good sellers. 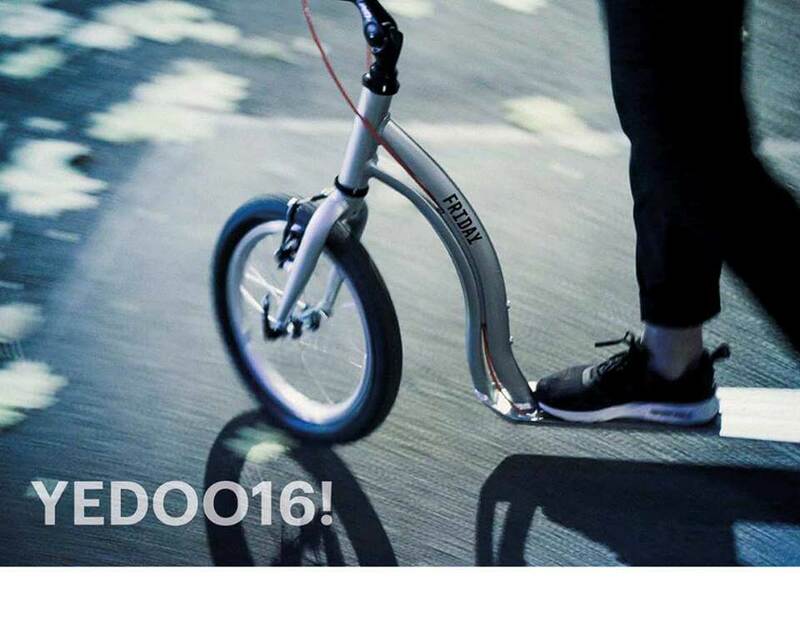 Another big footbike producer is the well-known trademark YEDOO. 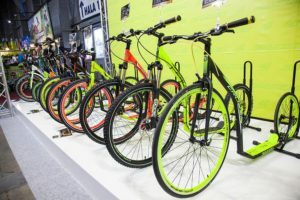 The YEDOO company isn’t falling behind and it produced lighter aluminium frames (or the whole new model series) for better riding performance. The innovation and variety of both older model series and the new ones are the result not only of the whole collective but of the main constructer Jakub Bostl on the first place. The company frtm s.r.o. 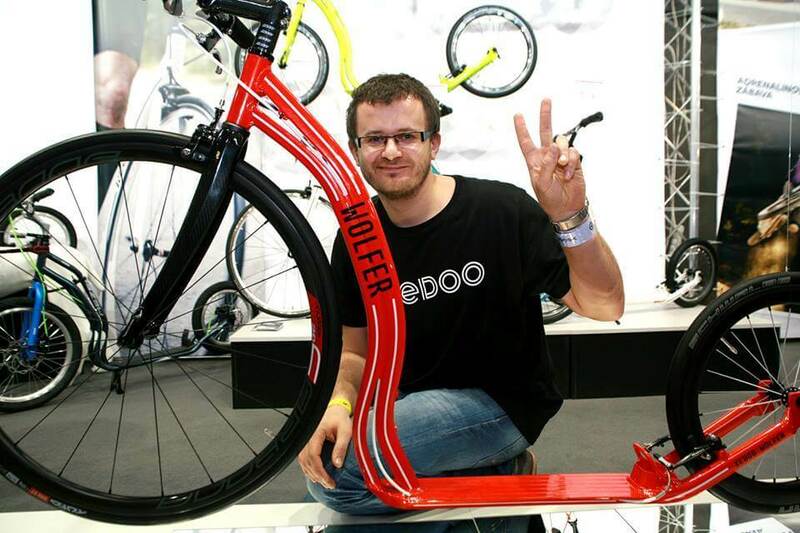 producing the marks as the popular footbike Sixteen model, made on the basis of the Michal Homola’s idea. 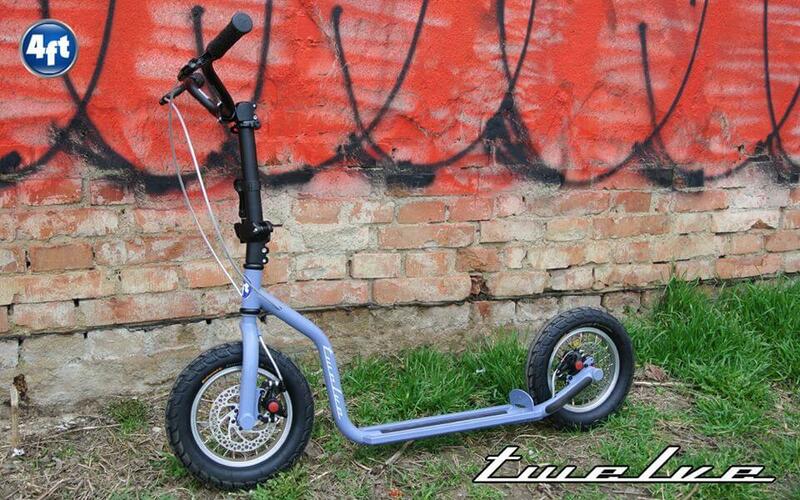 The company introduced the new foldable street footbike model. 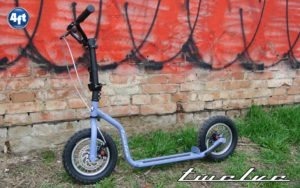 It’s a very nice piece which just as the well-known Sixteen model is aimed at the footbikers preferring the quality together with some technological bonuses. And so we could go further, there was many exhibitors on the trade show and I hope they won’t mind if I don’t enumerate them all. But I shall mention one more producer – it’s the dynamic developing mark which is very skilful in finding new supporters on the market. It’s the Morxes company. 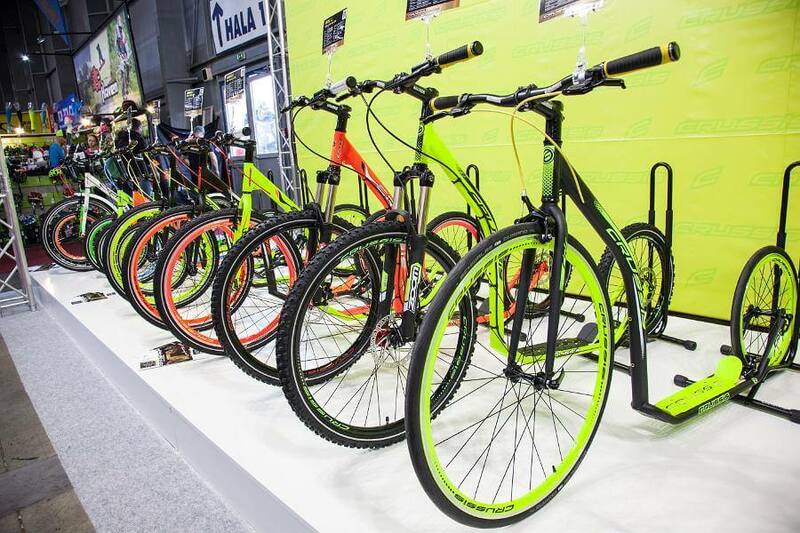 They are including everything: new models, varieties of the present series, original design. 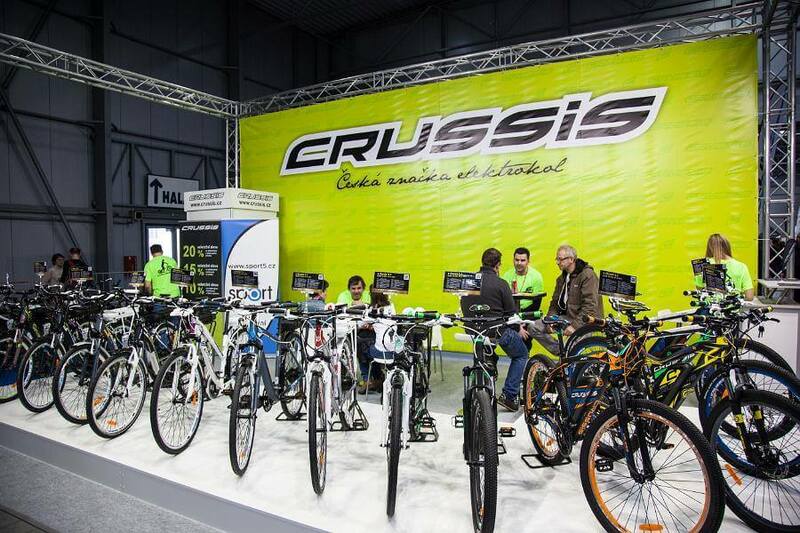 And of course we have to mention the Crussis company and its model series with wide varieties. This company is new on the market as well, so I think it can surprise us by the time.